Congressional Black Caucus Archives - Joe.My.God. Yesterday Bernie Sanders dined with Al Sharpton at Harlem’s famed Sylvia’s restaurant with the intent of shoring up support among black voters. 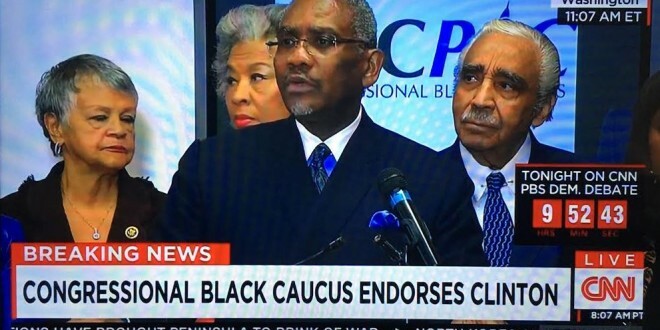 Today the Congressional Black Caucus PAC announced its endorsement of Hillary Clinton. The vote was announced by Rep. Gregory Meeks (NY), whose words were described by CNN anchors as delivering “full-throated” support to the Clinton campaign.